Over the last few weeks PC Care has seen a sharp increase in the number of clients contacting us regarding infections on their computers. Most of these viruses appear to be fake security or system optimisation programs that are either trying to get the user to download infected programs/files or obtain money or credit/debit card information. These attacks try to panic the user into believing there is a problem with their system by displaying pop up messages, changing their desktop wallpaper, blocking access to certain features or functions of their system or displaying some form of animation pretending to scan their system. If you suspect one of these fake programs has got into your system do not click on any of its buttons or links, not even the close or red X at the top right of its window as this can trigger the downloading of further malicious code. 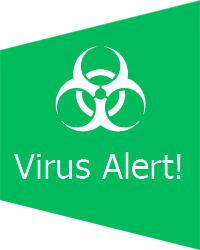 If you have a reputable anti virus program try running a full computer scan to see if it will detect and remove the threat. If you are unsure about the security of your computer or how to scan for viruses then give PC Care a call and we will happily offer any advice we can and safely remove any malware from your PC.